OpenCon is a global meeting and aims to represent the diversity of the Open Access, Open Education, and Open Data communities in the conference program. To achieve this, we have an organizing committee of students and early career academic professionals representing key groups and issues, but we also need community input—we need your input. You can suggest individual speakers, panels, or one-hour workshops. Suggest the best speakers you’ve seen on the topics of Open Access, Open Education, and Open Data, or if you’re a frequent speaker on these topics and want to address OpenCon, suggest yourself. You can even suggest broad themes or ideas that you’d like to see addressed during OpenCon 2015. However, to be considered for the OpenCon 2015 program, you must submit your suggestion before June 26.
if selected, we’ll cover your costs to attend. But last week, we decided to ask the OpenCon 2014 alumni what they thought the best reasons to apply were. Apply because you care about Open Access, Open Education and Open Data, and you want to be part of the revolution. It’s an intense three days: you’ll have a lot of fun, meet amazing people, be inspired, find collaborators, and get a fresh wardrobe. It’s probably the best conference ever, and that’s just the beginning... it might just change your career. So what are you waiting for? 8) and get a fresh wardrobe. 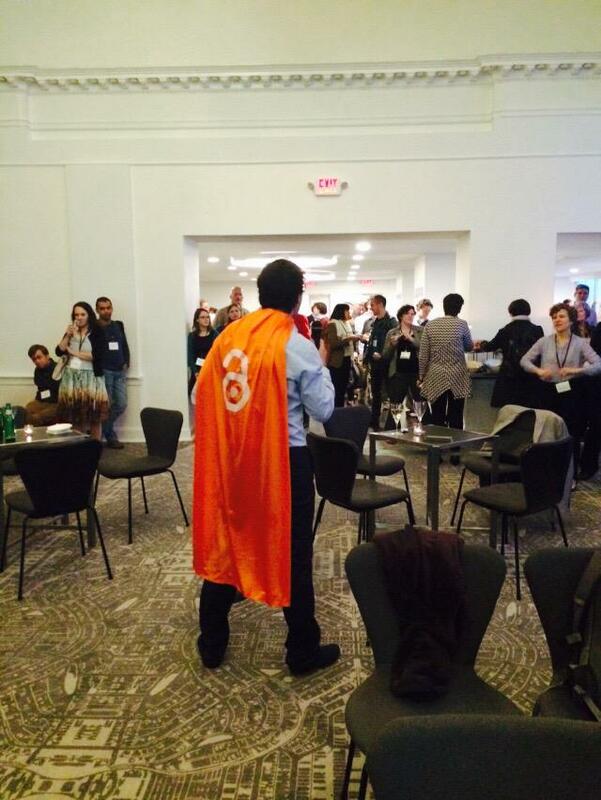 #opencon2014 is the most amazing thing I've ever a been part of. Literally a life-changing weekend. OpenCon doesn't end when you go home, through satellite events, webcasts, calls, and the discussion list the community works year round to fight for change. #openconcall @open_con #opengeneration that was flippin awesome. Renewed motivation and inspiration,I'm off to get on with those projects! Always feel pretty pumped after an @open_con conference call...even though I come in desperately late. Great knowing you guys are out there! 11) it might just change your career. We'd like to thank all the OpenCon 2014 alumni who contributed to this, sorry we couldn't include everything. On May 5th, we hosted Dr. John Hilton III for a webcast to summarize the increasing body of research on the efficacy of OER. The inaugural OpenCon webcast How to Get Tenure* (*while practicing open science)” from Titus Brown provided a fresh perspective on how open research practices can benefit your career and started a lively discussion. To continue the conversation on this important topic, we’re happy to announce our first OpenCon webcasts series, “Open Research and Your Career”. Open Educational Resources have always held the promise of saving students millions – if not billions – of dollars each year. But is cost savings the only advantage of OER? A growing body of evidence suggests that OER produce learning outcomes that are as good or, in many cases, better than those of proprietary learning materials. Our next OpenCon Community Webcast will delve into current research on the efficacy of Open Educational Resources and how they compare with traditional textbooks. John Hilton III, an Assistant Professor at Brigham Young University and leading expert on OER efficacy, will be joining us to address this issue. In his presentation, John will answer critical questions including if students using OER get better grades, how students and teachers perceive Open Educational Resources and what it takes for a professor to adopt an Open Textbook. The webcast will be held on Tuesday, May 5th, at 1pm EDT / 6pm BST / 7pm CEST and last approximately 45 minutes. You can view the webcast at opencon2015.org/community/webcasts or by bookmarking the embedded YouTube link below. You can join the discussion and ask questions on Twitter with the hashtag #opencon. A recording of the presentation will be available online immediately following the webcast at the same URL.